Since the late 1990s, there has been a crucial and substantial transformation in China’s television system involving institutional, structural and regulatory changes. Unravelling the implications of these changes is vital for understanding the politics of Chinese media policy-making and regulation, and thus a comprehensive study of this history has never been more essential. 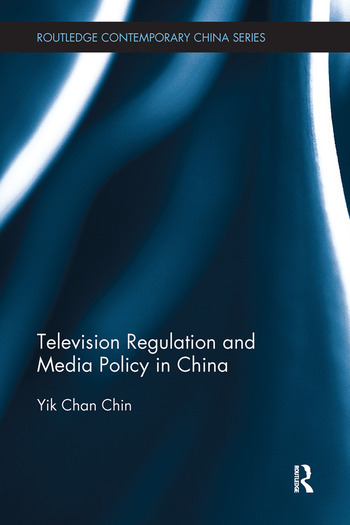 This book studies the transformation of the policy and regulation of the Chinese television sector within a national political and economic context from 1996 to the present day. Taking a historical and sociological approach, it engages in the theoretical debates over the nature of the transformation of media in the authoritarian Chinese state; the implications of the ruling party’s political legitimacy and China’s central-local conflicts upon television policy-making and market structure; and the nature of the media modernisation process in a developing country. Its case studies include broadcasting systems in Shanghai and Guangdong, which demonstrate that varied polices and development strategies have been adopted by television stations, reflecting different local circumstances and needs. Arguing that rather than being a homogenous entity, China has demonstrated substantial local diversity and complex interactions between local, national and global media, this book will be of interest to students and scholars of Chinese media, politics and policy, and international communications. Yik Chan Chin is a Research Assistant Professor at Hong Kong Baptist University, working in the areas of media and communication policy, regulation and law; new media and governance and media policymaking and politics.